In addition to his work with the Spin Doctors, nurse guitarist Eric Schenkman has built an impressive musical resume that includes work with his own groups the Chrysalids, which released the album Make A Sound in 1995; Cork (with ex-Mountain drummer Corky Laing and former Jimi Hendrix bassist Noel Redding), which released Speed of Thought in 1998; and High Plains Drifter, with the late Blues Traveler bassist Bobby Sheehan. 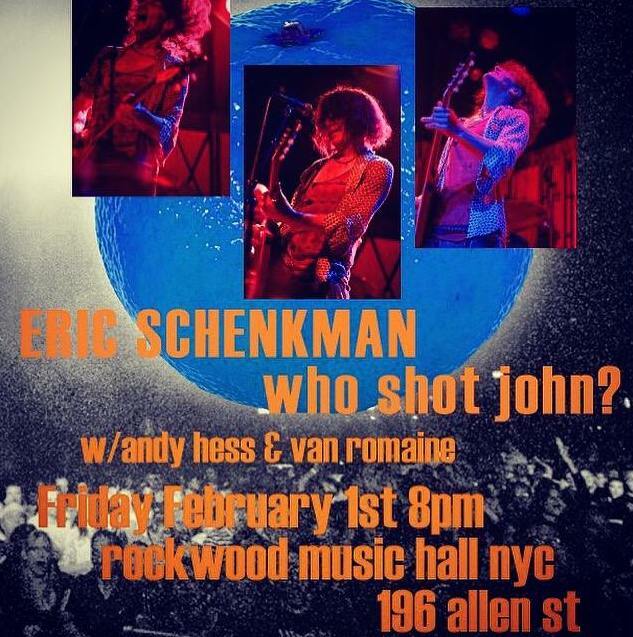 Schenkman also participated in the all-star Symphonic Works of Jimi Hendrix album and its accompanying tour, alongside Hendrix’s producer Eddie Kramer and Hendrix bandmate Billy Cox, as well as with Corey Glover of Living Colour, Doug Pinnick of King’s X and Dave Abbruzzese of Pearl Jam. He’s also work with Jack Bruce, Roger Daltrey, Natalie Merchant, Carly Simon, legendary jazz drummer Chico Hamilton, jazz composer Kip Hanrahan and Canadian songwriter Jimmy Rankin. He’s also taught blues workshops for the Toronto District School Board with Ontario bluesman Jerome Godboo. Schenkman is currently performing and recording as part of the Canadian rock-folk trio the Openhearts Society, which recently released the album Love In Time (available at www.openheartssociety.com).